This two-piece houndstooth wool suit trom ready-to-wear collection had dolman three-quarter-lenght sleeves and rounded shoulders. The jacket featured a slightly raised modified cowl collar and two front pockets. 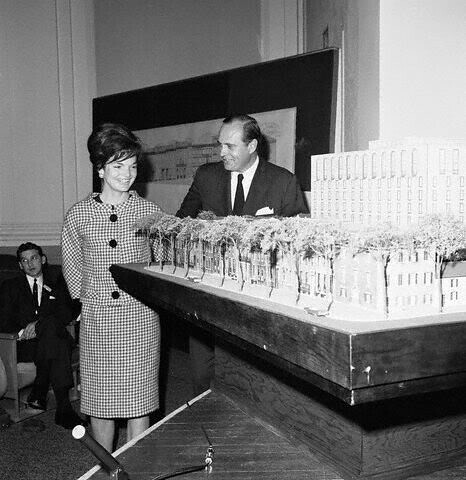 Jacqueline looking at the model for Lafayette Square, across the street from the White House. 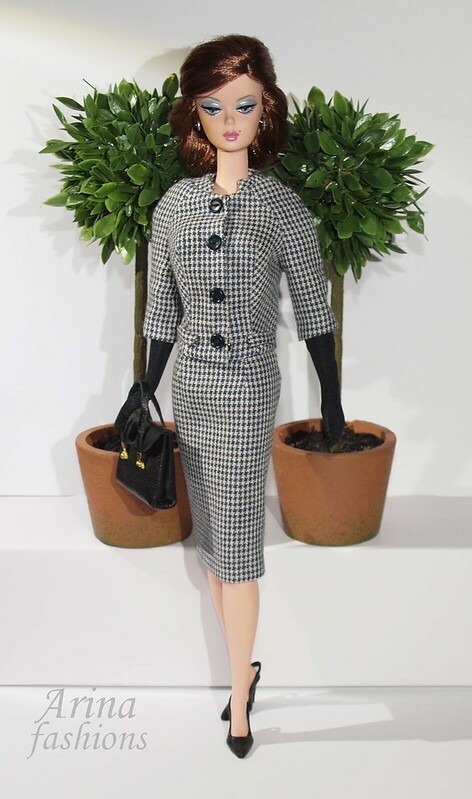 Outfit for Silkstone Barbie, Victoire Roux, FR2, second and third generation Fashion Royalty dolls. This fashion includes the jacket, skirt, gloves, earrings, shoes and purse (opening). ← SUMPTUOUS GRAY PEAU DE SOIE. JACQUELINE KENNEDY.